So I spent this past weekend installing a new heater control valve from Wagonmeister - works perfect, so good in fact now I realized that I have a core leak...the dreaded heater core. Been reading up seems like a PIA but doable. The pains of buying a SoCal car where they never used the heat. My question is on parts - read that an aftermarket core causes uneven heating? The other thing is likely replacing the blower motor and resistor "while you are in there". 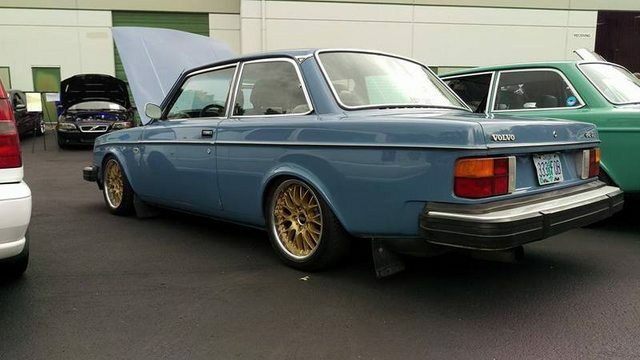 I think all of that is still available via OEM Volvo. If OEM is the core going to fail again? Also - I get a scraping noise on fan speed 3 is that the motor or the fan wheel/blades/cage rubbing something? Anyway - looks like a day spent replacing this, maybe send out my dash for repair also. I got a cheap PWM controller to avoid the issues inherent to using a resistor pack to control an electric motor. Wiring is highly simplified and the thing runs a lot harder if I want it to. It is actually an aluminum core with plastic end tanks. Have had no problems getting the heater to work as a small blast furnace with it. Perfectly fine, especially if you use an aluminum radiator. All aftermarket brass cores I have used in the past 10 years have been absolute hot garbage. Yes, that was me about the uneven heating. It can happen but the consensus is that the heat works well with versions like the core above above. I like the pwm controller. Harlard can you share more information on that method to control fan speed? Put the rheostat in the spot where the control knob would go and rock out. This module alters duty cycle based on resistance. Being a direct-from-Shenzhen unit, I had to re-solder every joint to make it reliable. I also bypassed the 3 position switch as it did not have much use for my application and the unit itself can be switched off via the rheostat. Just get one that can handle 30-40 amps and you should be golden. This is awesome and perfect timing. Much appreciate the share! Hey Art, funny thing is I just gleaned the 91+ A/C diagram from your site. It looks horrendous. The diagram, not the site. The "site" is horrendous too, but, alas, a project for another day. Which page are you talking about, I wonder? I enjoyed reading your PWM solution for the crappy aftermarket blower motor resistors, which ironically, suffer from the same issues with lead-free soldering. Thanks! The site itself is fine. I kind of miss the simplicity of 90s web design where navigation is simple and well-organized. I stared at it for 10 minutes trying to make sense of how it all works and ended up understanding it less than when I started. Guess I should just find a harness and install. First off, the pusher fan relay being run by the high pressure switch is wishful thinking, from what I've heard, and most have just rewired that relay to run the fan when the compressor is cycling on, or even whenever the snowflake switch is on. No one I've heard from says the high-side pressure switch still works. Next, the notation for the two connections to the LH2.4 ECU, pins 14 and 15, should both be signals sent TO the ECU and not 14 from the ECU as shown. The pin 15, with the holdover designation "D+/61" just lets LH know the switch is on calling for cool, and pin 14 lets it know the compressor is taking horsepower. I don't recall ever seeing the solenoid valve (H) in any cars, but then it looks to be something for cruise, or using cruise vacuum, I don't know. The R/W wire to the blower switch fan speed position 1 keeps the evap from icing up in case the AC gets turned on without the fan switch being on. That's about it, the rest is much like the TXV AC in the 70's cars, except for the low pressure cutout for clutch cycling. I've had to do a/c work on my 93 several times and the high pressure switch for cycling the fan actually does work. Mine does anyway. It's also interesting you mention those two ecu pins. I am helping with an LH2.4 swap into a 77 244 and last weekend was checking those pins for whether I would use them or not. This car never had a/c so the wiring will be shrinkwrapped up and not used. Wish you well with the heater core and thank you for the info on the motor controller Harlard. That's an interesting note with possibly good reason. Your 93 is a similar-appearing but different animal from the 91 and 92 CCOT systems in more ways than just the operating pressure differences between R12 native to the 91/92 and the R134a yours came filled with. I would not frown so much on taking the AC apart on a system I can replenish from a can bought at the Walmart. I wonder if many others report the same reliable pusher fan on their 93's. As for the ECU inputs, if you connect the input from pin 14 to the clutch on the '77's original compressor (if it were equipped), you'd obtain the same behavior, not that I'm suggesting you'd notice it any more than my daughter doesn't notice the uneven heat left to right from her aftermarket heater core. It may be ancient Art but it is the best pictorial I found...and thanks. A/C has been converted so I am hoping to finagle it out with hacking off the top by manipulating the A/C lines...wish I knew the core was leaking would have just done the heater valve/core at the same time. Will need to see what is rubbing once I get in there on fan speed 3.
a. Where and how did you mount your PWM module? Any thoughts on where to best place it for the eventually required replacement? b. Did you jump pins 2 and 3 on the connector for the directional switch? That's how I removed the switch and made the fan rotation match the arrow on the fan (although it seems to be backwards from the labeling). d. What did you end up doing with the WHT-RED wire from the AC circuit that keeps the fan on low whenever the AC is on? Mine's an '87 but it seems to be set up the same way. 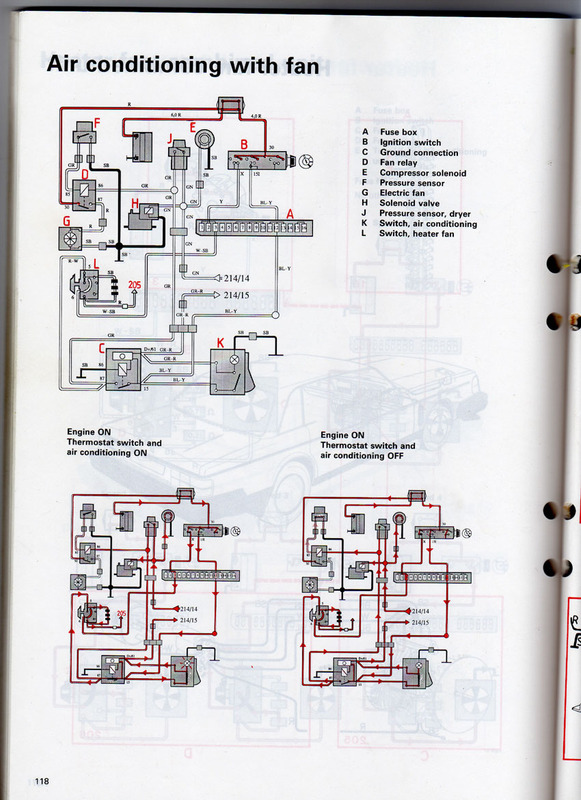 I see you went into the schematic, but it's not clear how you resolved it. I wonder if one could find an appropriately valued resistor for a nice slow speed and run the line right to the output of the PWM's speed pot or to the power output from the PWM controller. Clearly I'm no electronics genius. e. Thanks for validating this install. I was reluctant to install a Soviet-looking resistor into a car that has doesn't (quite) operate on vacuum tubes. As my fan motor bearings were crumbling, I wanted to pursue an approach like this but didn't want to be the effort that failed. Should the motor turn, on top, from front to back or from back to front? Put another way, from the driver side is it going clockwise or counterclockwise? I didn't observe how my old motor was operating it before removal and it's not labeled. The replacement motor has a convenient arrow but it looks like it could be installed either way. I think it should be clockwise from the driver side but want to verify before reassembly. Last edited by petergibbons; 01-08-2019 at 04:21 PM.. It would be clockwise looking at the heater unit from the left driver side. To verify look at the fan blades. They should be scooping air and pushing it out. So if you look at the top outlets for the dash vents. The fan blades would be scooping air to push out the top. a. I just zip tied it to the dash support beam. Not sure how you can do it as your dash is different. It's pretty trivial though. d. My car has no AC. I would just feed the AC switch from the speed control rheostat, using a relay. If you wannago full ham, just feed power to the switch straight from the main power sauce to the motor. Otherwise you can put a relay on the switch ground. Since the mode of fan control is different than stock you can't just pick a circuit for minimum fan speed like stock. This means that the AC will only engage when the fan is on, kind of like in early 940s. e. It's just circuits. Straight from Shenzhen specials are a long ways from the 90s. Just look at that fancy $1000 iPhone XR. Made in the same town by the same labor pool. Awesome guys, thanks. Harlard, thanks especially for the ideas on the A/C connection. No fan = no AC sounds like a good solution.